After a small Thursday slate, we're back to an eight game Friday slate. There are plenty of games we can attack, and a few that look like we may want to avoid them. 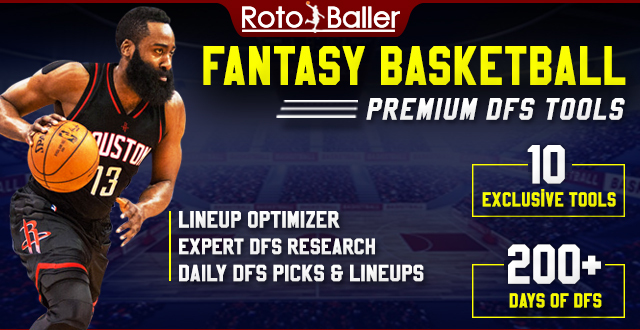 Overall, this is a great slate with a plethora of fantasy options. 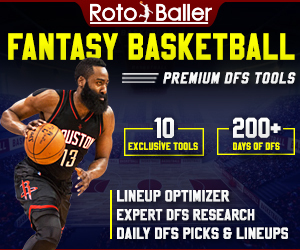 In this article, I will be providing you with my daily fantasy basketball lineup picks for FanDuel on 11/16/18. These DFS lineup picks can vary from higher-priced players and elite options to lower-priced players and value picks on FanDuel. You can also check out today's DraftKings lineup picks. Make sure you don't set your lineups too early and also be sure to check player statuses and availability prior to opening tip. Bledsoe was recently stuck in a slump, but that has changed over his last four games. Over that span, he's averaging 17.0 points, 5.8 rebounds, 5.3 assists, and 2.0 steals (37.3 fantasy points) in 30.0 minutes per game. He gets a great matchup against the Chicago Bulls, who have struggled defensively this season. Bledsoe could continue to feature lower ownership because of his inconsistencies, but he makes an outstanding option tonight. Brooks was expected to see an uptick in minutes with Dillon Brooks injured, but that has only happened in one of his two games since the injury. Overall, Brooks is averaging 0.83 fantasy points per minute this season, and he could see minutes in the mid-20s tonight. He's also known for being a great scorer, and he gets a matchup against the Sacramento Kings, who have struggled defensively this season. He'll also see an uptick in pace tonight. It's impossible to trust Green, but his upside for this price tag is undeniable. He has caught fire recently, as he's averaging 14.8 points, 5.5 rebounds, 1.0 assist, and 1.3 steals (27.1 fantasy points) in 25.8 minutes per game. He gets a great matchup against the Brooklyn Nets, who have struggled defensively this season, as well. 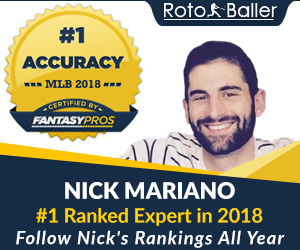 Green comes with less risk on FanDuel, where you can drop your lowest score, and he's a great tournament option on this slate. It's difficult to pay this price tag for anyone, but there are plenty of salary relief options on this slate that make Davis worth it. He struggled for a few games when returning from injury, but he has been playing at an elite level over his last four contests. Over that span, he's averaging 28.0 points, 15.0 rebounds, 5.3 assists, 1.0 steal, and 2.5 blocks (63.3 fantasy points) in 38.5 minutes per game. He does come with some risk at this price, but he also comes with as much upside as anyone on this slate. Howard has struggled quite a bit (by his standards) this season. Through seven games, he's averaging 12.6 points and 9.0 rebounds in 27.5 minutes per game. He gets the cure for struggling centers tonight, though, as Brooklyn possesses one of the worst defenses in the NBA against centers. Howard's inconsistencies have kept his price tag low, but he comes with tremendous upside in this matchup.